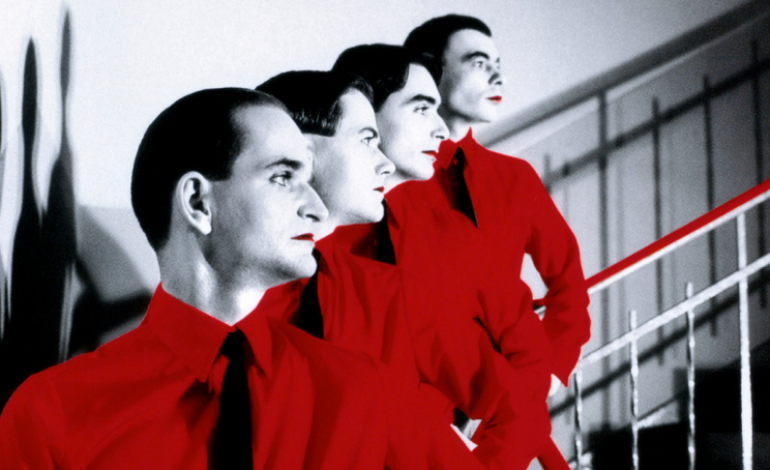 Legendary German electronic pioneers Kraftwerk have release a new video for their song “Die Roboter.” While the song is far from a new release, the video is pulled from their upcoming concert film and live album. Aptly titled 3-D The Catalogue, the release will document the brilliant stage show of this long-running and extremely influential group of musicians. The box set will be released on May 26, 2017. The release will include work from their albums Autoan, Radioactivity, Trans Europe Express, The Man-Machine, Computer World, Techno Pop, The Mix and Tour De France. “Die Roboter” is from the band’s 1978 release The Man-Machine and was released as the album’s first single. The video notes indicate the song (and the rest of the music on the box set) was produced with high-definition 3-D visuals and with Dolby Atmos surround sound.